Description 1 photographic print mounted on 8 x 10 in. board ; 4 1/4 x 6 in. 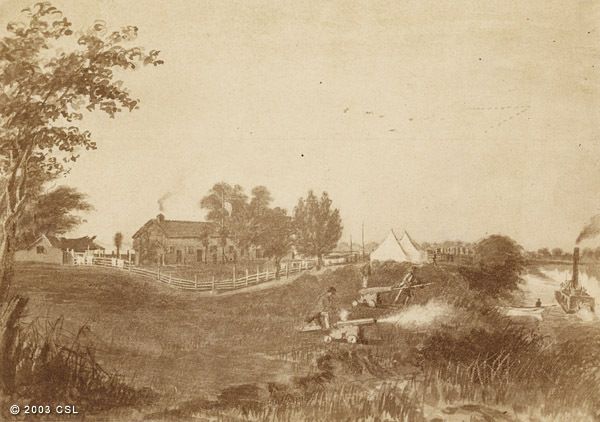 Summary View of the first steamboat which passed up the Feather River receiving a salute from General Sutter at his residence at the Hock Farm. Shows house, tents, men, and two cannons saluting the steamboat in the river at the right. Photograph of a painting. Photograph by Bradley & Rulofson.